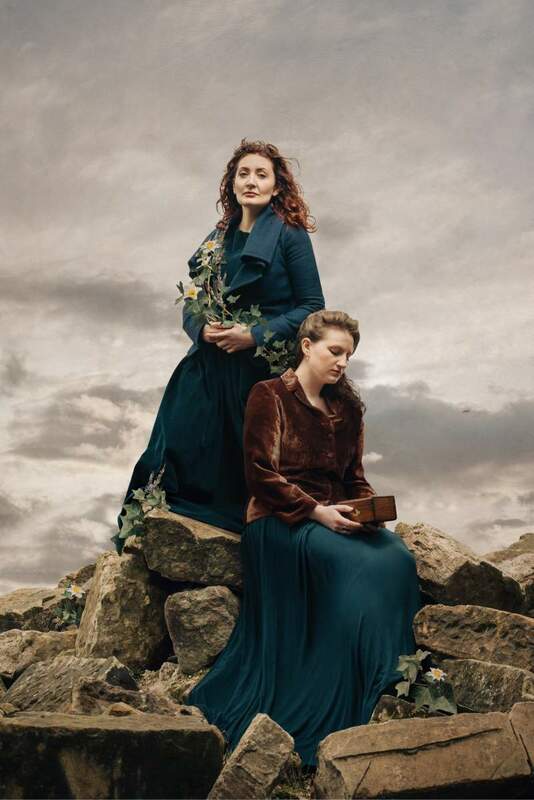 Having just performed at Alphabetti Theatre, as part of their Before The Fringe festival, we caught up with Fearless Players to find out a bit more about their show Armour: A Herstory of the Scottish Bard, A new musical by Shonagh Murray. It’s basically a story told by the granddaughter of Robert Burns (Scotland’s national poet – Auld Lang Syne, Ae Fond Kiss)- at a time in life when she needs her granny most, Sarah Burns returns to Scotland to see her granny Jean and through Sarah’s memories, we learn about Jean Armour, wife of Robert Burns, and Nancy MacLehose, his mistress, and what happened when Jean and Nancy met for tea. It’s been pretty exciting and terrifying in equal measures. We thought the tricky part would be writing a show but it’s been about juggling all the admin parts that come with it. Overall we’ve coped pretty well since we all take on different jobs and have each other’s backs. The weekend in Newcastle has been interesting! We’ve all been bunking in at the parents of our producer and resident Geordie, Lydia. They live in a wee cottage just outside of Newcastle and we’ve been rehearsing in the living room all weekend whilst Ann, Lydia’s mum, sews our costumes, Ian (Dad) cooks our meals and Claude and Eva (two very mischievous cats) run across our stage at their whim! Have you done any other performances of the show so far? We held a fundraiser for the fringe about a month ago and shared a sneak peek of the show at that point, but apart from that, nope this is the first time we’ve ever performed it publicly! It was a success! The audience reaction was overwhelming and it was such a confidence boost for what we’re doing because everyone was really keen to see more. Getting back into the world of the fringe, definitely. We’ll get into a rhythm of doing our show every day, and after that, we’ll be squeezing in as many other fringe shows as possible – Fringe is a great place to get inspired! I think the flyering will get old pretty fast but we’re determined to find some joy in every part of the Fringe since it’s such a crazy experience that’s over before you know it and we want to savour every moment. Onwards to the Fringe and then we have some things in the pipeline but we’ll keep you guessing for now!